Updated Monday, June 9, at 1 p.m.
After months of flirting with a rematch against Gov. Peter Shumlin, the Vermont Republican Party's 2012 gubernatorial nominee said Sunday that he'll sit out 2014. In an emailed statement, former state auditor and senator Randy Brock said he would "remain actively involved in helping to shape public policy," but wouldn't seek a line on this fall's ballot. "This decision has not been easy to reach," he said in the statement. "I have arrived at it over several months after careful thought, much input and serious deliberation." Noting that the 2014 election would be the first in a decade in which he would not seek public office, Brock said, "I will miss the excitement of the campaign trail, the joy of meeting hundreds of new friends every year, the challenge of formulating public policy and the satisfaction of having played a small part in improving the lives and livelihoods of thousands of our citizens. But I believe that this is the right decision for me and my family." The Swanton resident and retired Fidelity Investments executive served one term as state auditor and two representing Franklin County in the state senate before challenging Shumlin for governor in 2012. After losing that race 38 to 58 percent, he remained an outspoken critic of the governor, focusing particularly on the troubled rollout of Vermont Health Connect, the state's federally mandated health insurance exchange. 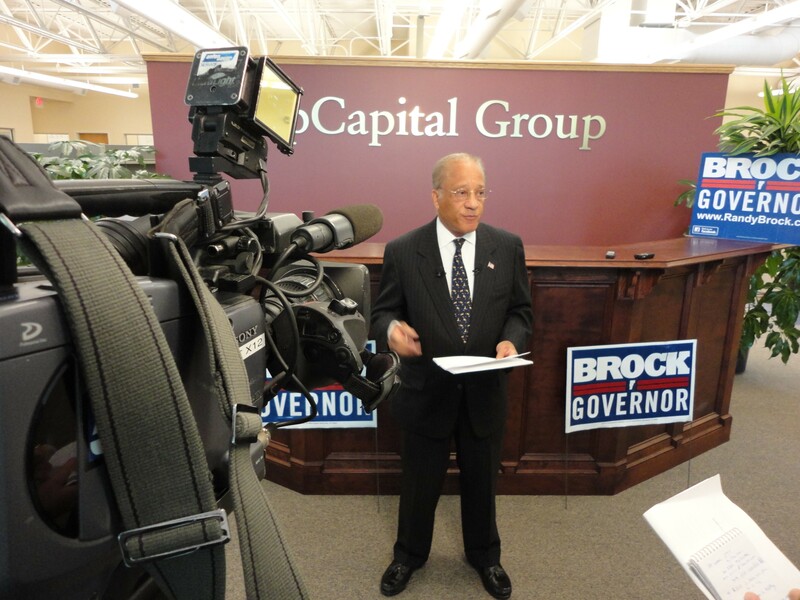 Brock is the third high-profile politician in weeks to take a pass on a gubernatorial bid after publicly weighing the possibility. He was preceded by Rep. Heidi Scheuermann (R-Stowe) and Campaign for Vermont founder Bruce Lisman. Only perennial candidate Emily Peyton has entered the Republican primary. Scott Milne, a Pomfret resident and travel agency president, has also been mulling a run, but he has made clear in interviews that he would be more likely to enter the primary if it featured multiple candidates. That way, he has argued, the eventual nominee would be better known and more prepared for a general election fight against Shumlin. On Monday, Milne said he was “disappointed” that Brock had chosen not to run. Milne said he had already collected enough signatures to get his name on the ballot, but had not yet decided whether to submit them before Thursday’s filing deadline. “I just have to put a couple pieces in order to see if it makes sense to me, but more importantly, whether I can see an opportunity to win,” he said.